Where do you need Fan Services & Companies? Lith T & R Communications, Inc.
Superior Heating & Ventilating, Inc.
Sexton Home Improvement & Repairs, Inc. Comment: This is just a basic replacement of a ceiling fan in my sonâs room. The blades of the existing fan have broken, and I wanted more light for his room. The exist8gn ceiling fan also has a light. Additionally, I would like a bike rack installed in my garage. My attempts to get the screws driven all the way through were unsuccessful. Please contact me if you are interested and available. I would love to have this done by the end of next week, if possible (1/3-1/5). Comment: Hi, we have a dryer vent that's very long, and our dryer isn't drying effectively. We had our dryer serviced, and it was found that our dryer is okay, but it's the dryer vent that's the issue. It typically takes 2-3 hrs per load. We are looking into getting a dryer vent booster fan, and we are looking to have someone come and install the fan. Comment: Just need a Ceiling Fan installed and the old one removed !!! Crystal Lake Fan Services & Companies are rated 4.78 out of 5 based on 914 reviews of 24 pros. 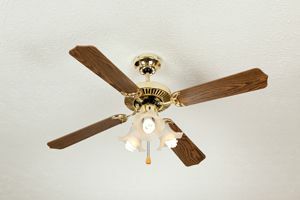 Not Looking for Fans Contractors in Crystal Lake, IL?